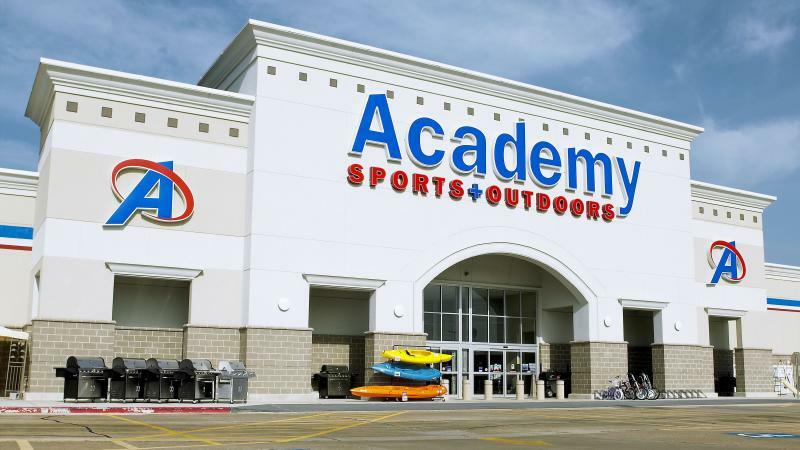 Moody’s Investors Service downgraded Academy’s debt for the second time since September 2018. The downgrades reflect Moody’s expectations for continued weak earnings and credit metrics in the near term, driven by a challenging operating environment, the transition of the company’s merchandising assortment, margin pressure from the mix shift to e-commerce and investments needed to improve the store and digital experience. The NPD Group has signed an agreement with SportsOneSource, LLC (SOS) to acquire assets relating to the company’s SSI Data POS Sports and Outdoor tracking business. SportsOneSource will continue to support the active lifestyle market through its SGB Media publishing properties, including SGB Update, SGB Executive and SGB Today. Reef, the beach lifestyle brand, announced that it has appointed Mike Jensen as president. Jensen most recently served as general manager and head of brand of DC Shoes. Helmet maker Bern Helmets has appointed a new executive leadership team and board of advisers that is leading the company’s efforts in driving innovation, operational excellence and future growth. Puma has promoted Anne-Laure Descours to chief sourcing officer and member of the management board. Puma’s Chief Operating Officer Lars Radoor Sørensen has stepped down to pursue other interests. Sentry Products Group announced that Steve Hoffa has joined the firm as vice president of sales. Hoffa, formerly with Alpha Guardian (Cannon Safe/GunVault/Stack-On) and BLACKHAWK!, brings 20 years of sales and operations experience to the team. Snow Peak, the outdoor lifestyle company, announced it has welcomed three new members to its leadership team. Filling the roles of chief financial officer, chief operating officer and senior retail manager, Snow Peak USA is poised to make 2019 a year of major growth. Iconix Brand Group appointed John T. McClain as the company’s executive vice president and chief financial officer, effective February 11. JD Sports reported same-store sales in the 48 weeks ended January 5 were up 5 percent. Descente Ltd. reported net earnings slid 26.2 percent in the nine months through December 31 as sales increased 2.0 percent. Safilo Group S.p.A. reported preliminary net sales in the fourth quarter equaled €249.1 million, up 1.3 percent at constant exchange rates and 1.8 percent at current exchange rates compared to the same period of 2017. The performance of the wholesale business was negative by 4.1 percent at constant exchange rates. FBI background checks, as adjusted by the NSSF, continued their trend of year-over-year declines, falling 7.8 percent in December to 1.49 million from 1.62 million in December 2017 on an NSSF-adjusted basis. According to Golf Datatech, golf rounds played in the U.S dropped 7.7 percent in December year-over-year while ending up down 4.8 percent for the year. Columbia Sportswear filed a $20 million racketeering lawsuit against Seirus Innovative Accessories and Ventex Co., claiming the companies committed fraud and infringed on two of Columbia’s patents. In response to an online petition demanding Nike recall many of its Air Max 270 models because a script logo on the sole resembles the word Allah in Arabic, Nike said in a statement that it “respects all religions” and any resemblance to the word is accidental. New Balance released an “In Pursuit” campaign promoting its Fresh Foam cushioning line and celebrating female athletes and their ability to exceed goals. Adidas signed four female hockey players, Brianna Decker and Kendall Coyne Schofield from the U.S. Women’s National Team and Canada women’s national team members Rebecca Johnston and Renata Fast. At the Outdoor Retailer Snow Show, Outdoor Industry Association (OIA), Snowsports Industries America (SIA) and the National Ski Areas Association (NSAA) announced the formation of the Outdoor Business Climate Partnership, an alliance that will provide leadership on advocacy and inspire meaningful action on climate change across the outdoor business sector. The 41st SHOT Show, owned and operated by the National Shooting Sports Foundation (NSSF), finished its four-day run with many notable successes, including a new record for exhibitors in its Suppliers Showcase and an innovative Pop-Up Preview that proved to be a hit with buyers. The Running Industry Association (RIA) announced they will host a working show for their members titled, the RIA KICK Show. The inaugural show, to be held in June 2019 in Denver, CO, will feature 26 presenting brands and have space for 96 retail attendees. Wolverine Worldwide is investing $300,000 in the Outdoor Foundation, the charitable arm of Outdoor Industry Association, to support the Thrive Outside Communities program. Alterra Mountain Company signed sponsorship deals with The North Face and Smartwool. Black Diamond Equipment, along with its sister brand Pieps, are named as official supplier and safety partners for the Freeride World Tour for the next three years. Black Diamond Equipment was named as the exclusive brand partner by Whisper Ridge powder tours in Utah, the largest single-destination heli and cat skiing operation in the world. Polartec introduced its Eco-Engineering initiative to use recycled and biodegradable materials across its entire product line. Kohl’s announced a new, strategic collaboration with WW, formerly Weight Watchers, to pilot a variety of health and wellness offerings to help customers and Kohl’s associates on their wellness journeys. Baden will remain the Official Ball of the Harlem Globetrotters through 2023. Pocket Outdoor Media, best known for publishing VeloNews, has acquired Bicycle Retailer from Emerald Expositions. Nike opened its first city-inspired SNKRS pop-up shop in Atlanta on 10th Street NW as well as a separate “Studio of Dreams” Super Bowl Content Studio nearby.